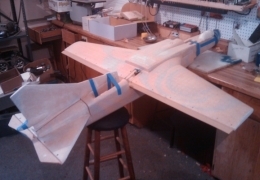 Two creative security experts -- Mike Tassey and Rich Perkins -- designed and built this unmanned aerial vehicle (UAV) in their garage using off-the-shelf electronics, with the intention of proving that a drone could be used to launch a cyber-attack. 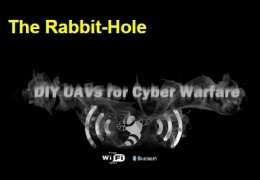 With only an Internet connection, a hacker sitting on a beach anywhere in the world could use this UAV to intercept cell phone conversations, steal financial information, or access secret government documents. 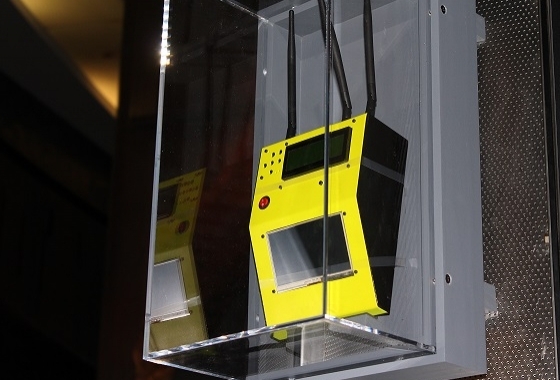 This prototype was a success and the race is now on to develop the next generation of cyber drones. 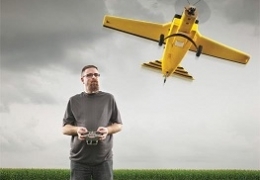 Creators Mike Tassey and Rich Perkins demonstrate the capabilities of their wireless drone system. Review media coverage of the state-of-the-art UAV, including interviews with the innovative minds behind the project. 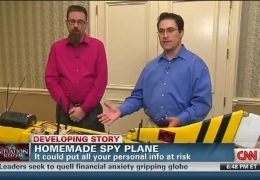 SPY Historian Vince Houghton sits down with Mike Tassey and Rich Perkins, creators of the Wireless Aerial Surveillance Platform, a state-of-the-art cyber drone. This is the photo album and original build blog for "Version 1" of the Wireless Aerial Surveillance Platform, before rabbit-hole.org existed.